October | 2014 | On The Road in Florida With Idelle! Orlando Museum of Art located at 2416 N. Mills Avenue. Museum Day sponsored by museums that participate with The Smithsonian Institution. Museum Day is a yearly event. Orlando Museum of Art has thirteen exhibits from Contemporary American Graphics to Portraits and People in American Life. Landscapes of the sea, mountains and portraits of families from the 19th century in the American Art gallery. Two of the artists featured at the museum are Childe Hassam an American impressionist painter who painted landscapes of urban areas and the sea and John Singer Sargent known for painting famous people. Exhibits of African Art in Everyday Life, Caribbean Culture, Contemporary Abstract Painting and Sculpture. I definitely recommend this museum especially when you have time to read each plaque that gives you a brief history of the artists and their works. Ponce de Leon Inlet Lighthouse and Museum located at 4931 S Peninsula Drive in Ponce Inlet. Ponce de Leon Lighthouse and Museum has been designated a National Historic Landmark. The lighthouse originally called Mosquito (Inlet) Lighthouse. In 1927 the Florida Legislature changed the name to Ponce de Leon Inlet Lighthouse and Museum to honor Ponce de Leon for all his contributions to the State of Florida. Jesse Linzy was an African American who was a skilled concrete worker who helped build the lighthouse. There is a plaque dedicated in his honor. There are nine buildings on the campus and each building has interpretive exhibits that gives people a detailed history of everyday life for the families that lived there. An employee told me that when you reach the top you can see for 19 miles. If you have a boat you can reach the lighthouse from the inlet. Stroll among the beautiful gardens and walk the nature walk. Check their website for admission times so you will have plenty of time to visit all of the buildings. You can print a 10 percent coupon from their website. The main entrance building is where you purchase tickets and also houses the gift shop. 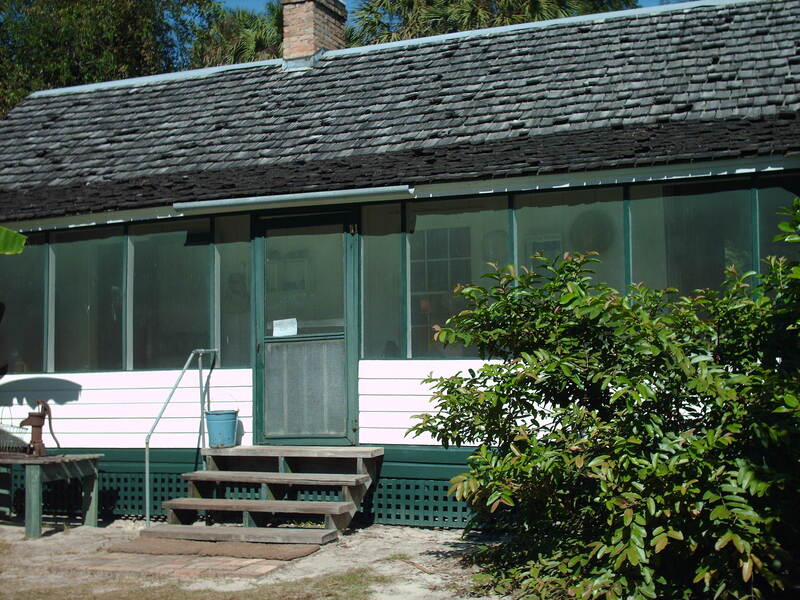 Marjorie Kinnan Rawling’s Cracker House in Cross Creek is now a Historic State Park. 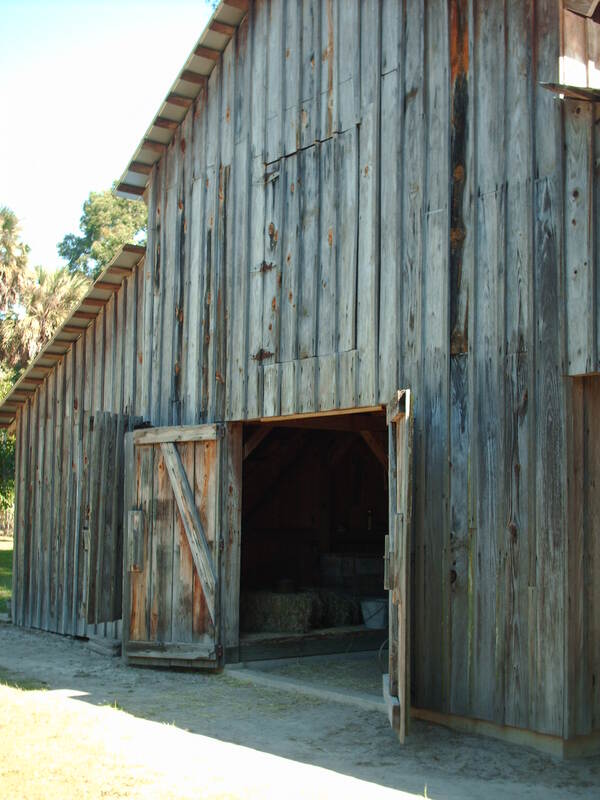 In 2006 the House and Farmyard were designated a National Historic Landmark. A cracker house is a wooden structure that was built by the early settlers. It was elevated so the air would flow, a lot of windows, porches and high ceilings that kept down the heat. Many citrus trees line the sandy path. She wrote “The Yearling” which won a Pulitzer Prize. She wrote eight other novels; three are still in print. Cross-Creek is located near Gainesville, Florida. Parking is based on the honor system, its $3.00 a car load. I have been to the house three times and each time I learn something new. Surrounding the property is a Tenant House where the maids lived, several chicken coups and many citrus trees. 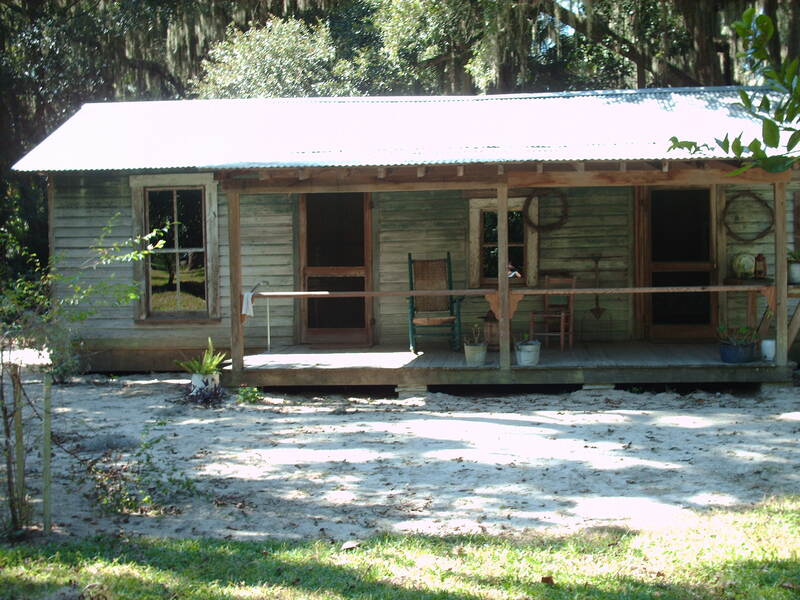 Visit Micanopy and Marjorie Kinnan Rawlings home in one day; they are only ten miles apart. They give tours of the house from October through July. The tour of the house is $3.00, well worth the price; the guides are very knowledgeable.